NPE Action is delighted to announce that three, strong pro-public advocates have joined the NPE Action Board of Directors. We are pleased to welcome Sue Legg of Florida, Dountonia Batts of Indianapolis and Dan Greenberg of Ohio. 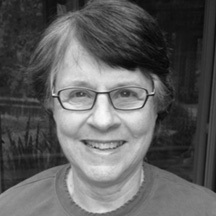 Sue Legg is a retired faculty member from the University of Florida where she directed the Office of Instructional Resources and the instructional computing center (CIRCA). She was chair of the College Board SAT Advisory Committee for two terms, measurement consultant for the Florida Bar Board of Certification for twenty years, and she published in the area of measurement and evaluation. In 2002, Sue moved to the U.F. Center for Latin American Studies where she directed international grant funded projects including the Partnership in Global Learning as well as USDOE and NSF grants to develop online materials for dying languages in Peru and Bolivia. Following her retirement from U.F., Sue joined the Florida League of Women Voters where she initiated a state-wide study of the impact of Florida’s charter schools. She became the state-wide education chair for the League and was named “Member of the Year.” She was president of the Alachua County league from 20015-17 and formed a coalition to launch the political action committee Parents Against Corporate Takeovers (PACT). Currently, she serves on several Alachua County School Board committees. A great friend to public education, Sue blogs at lwveducation.com. Dountonia S. Batts is a community advocate who has a passion for truth, justice, and equity in housing, education, economic development, and family court reform. 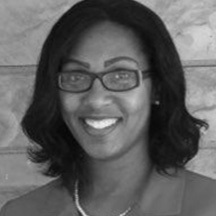 She has a Juris Doctorate degree from Indiana Tech Law School; a Master of Business Administration in Human Resource Management from Indiana Wesleyan University; and a Bachelor of Science degree in Biblical Counseling from Crossroads Bible College. Dountonia is a high school English teacher; co-founder of the Appellate Justice Project for Domestic Violence Survivors, Inc.; adjunct Professor at Crossroads Bible College; owner of Scriptura Grant Writing & Fundraising Professionals LLC; former President and current Vice President of the Riverside Investment Club, LLC; and, the former Executive Director/Organizer of the IPS Community Coalition Inc. She is a board member of the Indiana Coalition of Public Education, an Alliance to Reclaim Our Schools City Table Leader, and a local campaign strategist. Dountonia and her husband, Dr. Ramon L. Batts, live in Indianapolis, Indiana. They have eight successful children between them. 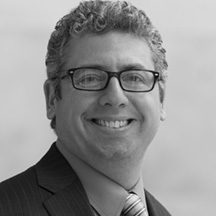 Dan Greenberg is an English teacher and public education advocate. He founded the Northwest Ohio Friends of Public Education, a grassroots organization that educates and engages teachers, parents, community members and local education leaders on issues impacting public education, including high stakes testing and charter school funding. Dan is a contributor to the Ohio Education Association “Voices of Change” Blog, and serves on the Board of Directors of the National Education Association, as well as Ohio’s statewide education advocacy group, Public Education Partners.